I didn’t grow up in Texarkana. Truth be told, I did not want to move here. I had driven through Texarkana many times as a child, pre-interstate, and from what I saw from my window, I didn’t think it had much to offer. However, in the three decades since settling here, I have gotten to know it very well and am now an active advocate and an actively involved resident. The more I learn about everything there is to love about our community, the more PRIDE I feel and the more I CARE about being part of the community’s future. With new eyes for our community these folks go away from each session with newfound excitement about Texarkana, and with a heightened commitment to taking responsibility for moving it forward - because they also come to understand that it is INDIVIDUALS who produce the RESULTS we are wanting. The LIFT question is: What added RESULTS might be possible in our community if even more citizens became excited about creating our desired future? Every successful business leader knows the power unleashed in an organization when stakeholders are regularly reminded of their focus for the future, their reasons for pride, are given values-based progress, along with a common agenda and challenge for moving forward. It’s catalytic. 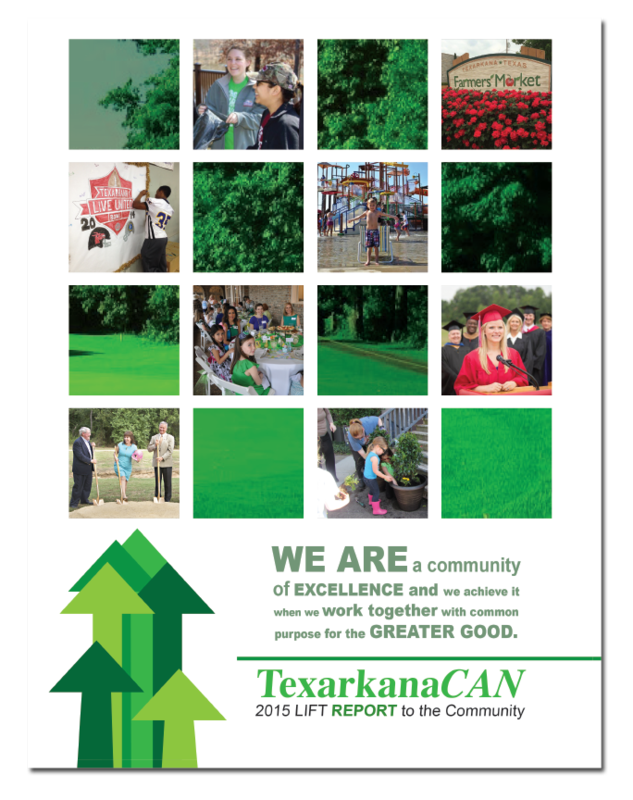 Given the work we are involved in each year, and believing Texarkana USA to be the collective business of all who live here, this LIFT Report (.pdf) sets out to provide some of the same for the residents of Texarkana USA.